When the collective of drummer Whit Dickey, pianist Eri Yamamoto, and horn player Daniel Carter held sway at the Vision Festival in June 2009 they built tension to unbearable levels that built up to a cathartic resolution. On their first disc together, recorded in the studio four months prior to their Festival triumph, they program eight group improvisations in a much more relaxed vein, sometimes resolving sometimes not, but always coherent. Dickey is still best known for his four-year tenure driving David S. Ware's classic quartet, but since then he's featured his compositions on a series of recordings for the Clean Feed label. For the last few years he has turned his back on his writing, preferring instant composition as part of improvising collectives. Such a move has proven a career-long gambit for Carter, with Other Dimensions in Music and TEST, being his best known stomping grounds, though he has featured alongside Dickey in pianist Matthew Shipp's recent quartets. 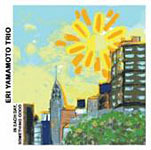 In such company, Yamamoto is a relative newcomer, the Japanese pianist only moving to New York City in 1995. Of late she has worked closely with downtown ringmaster William Parker, making a telling contribution to his outstanding Corn Meal Dance (Aum Fidelity, 2007), as well as on her wonderful Duologue (Aum Fidelity, 2008), which also showcased Carter, as well as gigging with her own longstanding trio. It is Yamamoto who provides the best entry point, as she is not afraid to inject structure into the understated free form with her strong rhythmic foundation and bluesy intonation. In fact, nothing she plays here would seem that out of place on her more mainstream trio dates. For all of Carter's fire music credentials, which only come to the fore on "Last Taste," his main mood here is a brooding abstracted lyricism, whether on trumpet, flute or saxophones. Dickey is a master of multiple and implied rhythms, shifting in and out of time to a point that a dreamlike quality pervades the music, compounded by his richly detailed touches, making full use of space for dramatic effect. 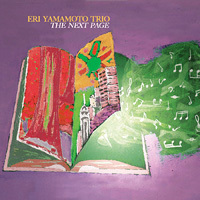 The trio moves from the nervously lyrical "Conversation," where Carter's muted trumpet muses distantly over Yamamoto's full-voiced chords and Dickey's fragmented tattoo, to the jaunty on-the-fly syncopation of "Rocker" where Carter's bluesy tenor connects with the earthy piano configurations. As they do, there is a sense of trust evident, indicating that each of the pieces becomes a shared journey. Unexpected destinations abound, though, as when Dickey's barely perceptible rumbling drums on "Convection" introduce a controlled falsetto whistle from Carter's tenor before morphing into a breathy ballad. 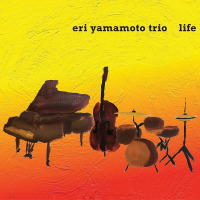 Well-honed listening skills are on display throughout, as on the urgent pulsing "Twirls" when Yamamoto picks up on some of Carter's alto phrases and transforms them into supporting motifs, or Dickey's responsiveness to Yamamoto's piano rhythms on the pointillist "Get Up." But it is the closing "Plum Blossom" which demonstrates one of the wonders of free jazz and the strength of this disc: the propensity for beauty and order to emerge from seeming chaos. Track Listing: Conversation; Get Up; Mobile; Convection; Rocker; Twirls; Last Taste; Plum Blossom. 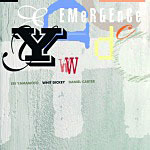 Personnel: Daniel Carter: trumpet, flute, alto and tenor saxophones; Eri Yamamoto: piano; Whit Dickey: drums.